ComicScene, the new dedicated magazine to comics and comic culture, launches its weekly Book Club on 14th January. Each week there will be a suggested Comic Book of the Week and your thoughts on the title will be welcome on the ComicsFlix / ComicScene Facebook and twitter feeds. This will give comic fans the opportunity to give their thoughts on the book, creators to add their musings, websites/bloggers the ability to share any of their own reviews to add to the debate and comic fans to give their thoughts. 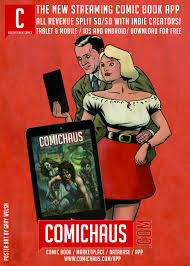 The first book up is the newly launched Roy of the Rovers, next week will be the newly released Treasury of British Comics Turbo Jones, the week after will be the best selling Batman White Knight and to round off the month there is the first DCThomson Commando Graphic Novel Ramsey’s Raiders which is in newsagents now. We hope you will participate and join the chat giving other potential readers some idea if the book is one worth trying. Find out how to log on to all our social media channels here.